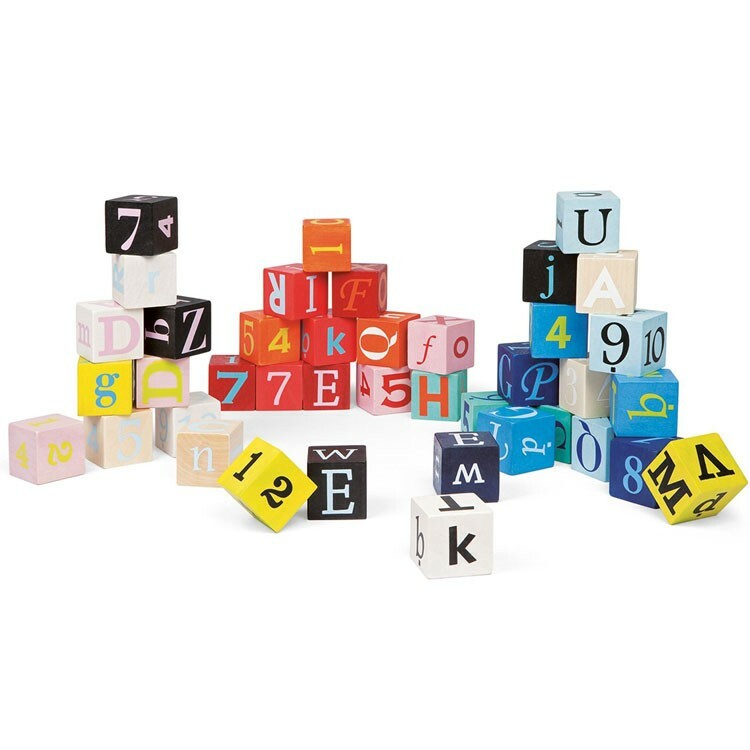 Janod's Kubix Letters & Numbers 40 building blocks set features colorful wooden cubes with numbers and letters on their sides. 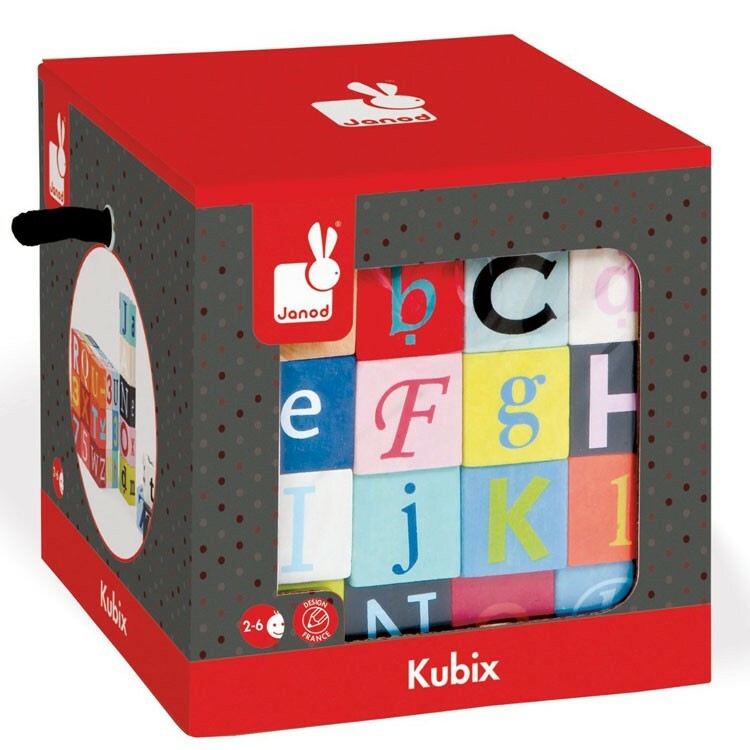 Kubix building block sets are designed in France and made with Janod's exceptional quality for toddlers and preschoolers. 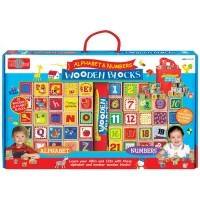 Kubix Letters & Numbers Wooden Building Blocks 40 pcs Set features colorful wooden blocks with numbers and letters of the alphabet on their sides. 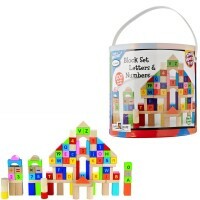 Your little builder will put on the towers or buildings as they learn numbers, lower and uppercase letters, and have tons of manipulative fun. 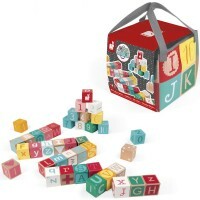 This bestselling sets of first building blocks for toddlers and preschoolers comes with 40 sturdy cubes that fit perfectly in a storage bag with carrying handle. 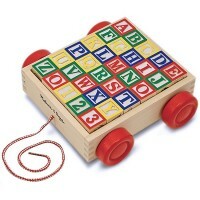 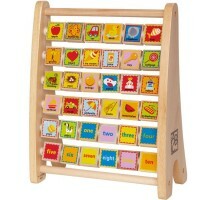 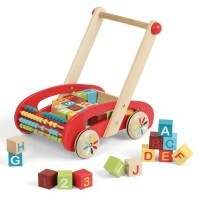 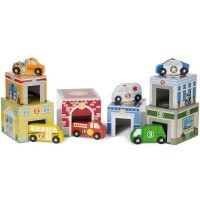 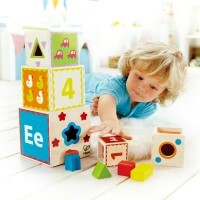 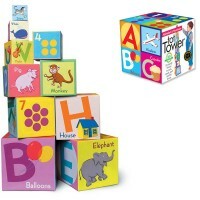 Build your first tower, or wooden castle, or play house for your toy figurines, you will memorize letters and numbers. 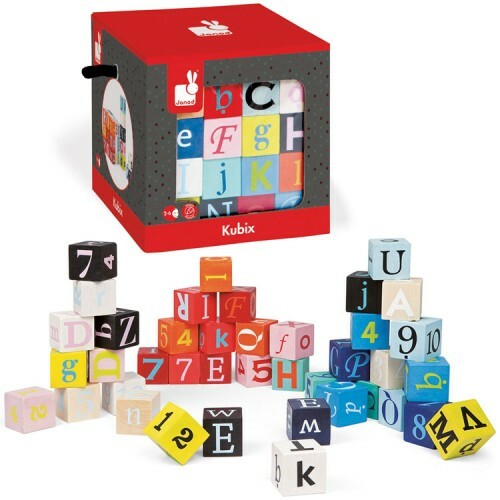 For even more constructive fun combine the Kubix Letters & Numbers Wooden Building Blocks 40 pcs Set with another Kubix set from Educational Toys Planet . 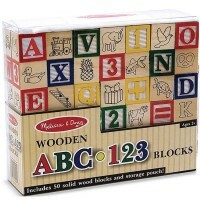 Each block has 1.4 inches side. 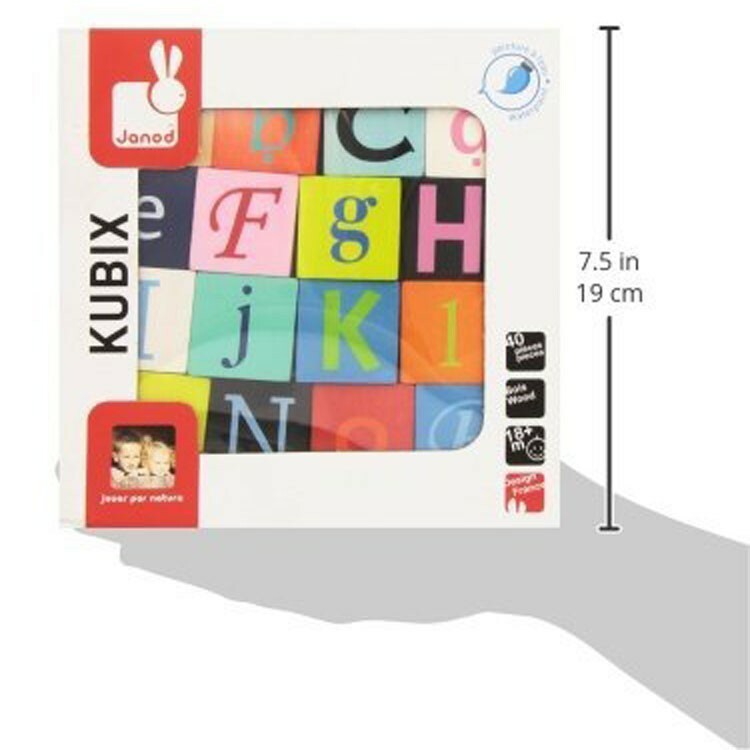 Dimensions of package 6.3" x 6.3" x 6.3"
Write your own review of Kubix Letters & Numbers Wooden Building Blocks 40 pcs Set.